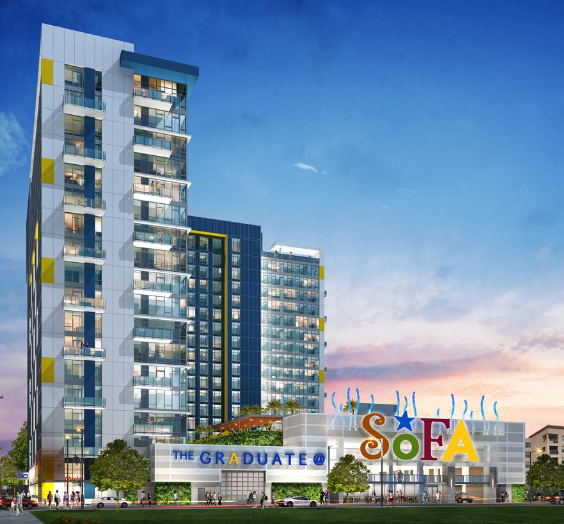 Last week Nathan Donato-Weinstein wrote an article about "The Graduate @ SoFA," a new 19-story tower that is being proposed where The Tech Shop and McDonalds used to be in Downtown San Jose (area bound by San Carlos, Third Street, and Second street). 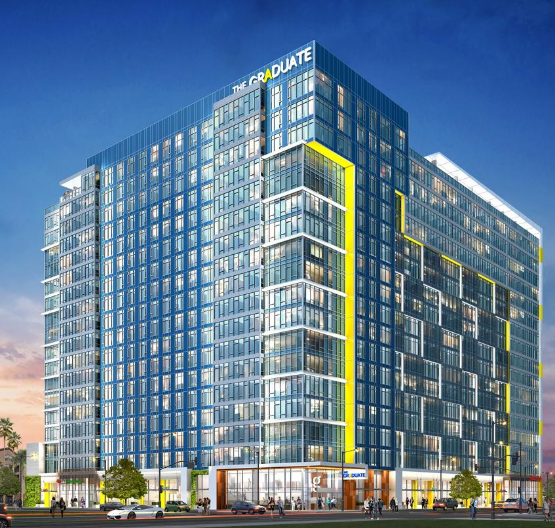 The new renderings look quite impressive for the area--I love the bright yellow accents that remind me of a highlighter. We may have some very spoiled SJSU students in a few years. The L-shaped building has 260 units, with most having four bedrooms. 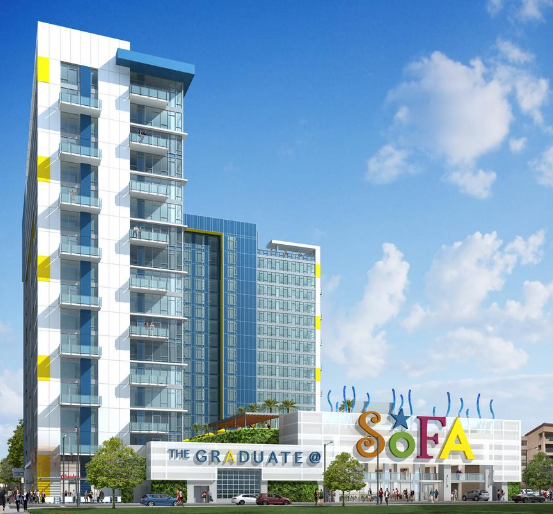 Over 1,000 students could be housed in the tower. 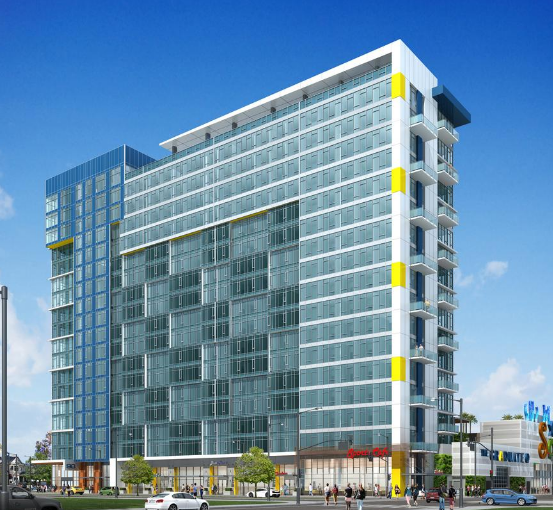 There is an amenity deck with a swimming pool on the fourth flour and 10,000 SQFT of retail on the ground floor. There are intentionally very few balconies as a "safety feature" (university students can party pretty hard). 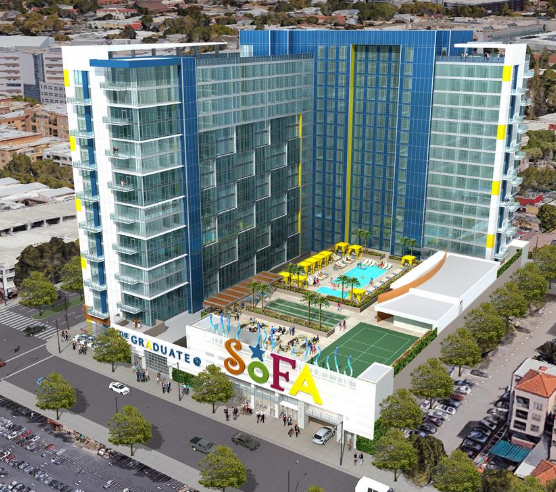 A side benefit to SoFA is that it moves students closer to the Downtown core and places them a block away from South First Street. This will help increase activity and vibrancy in the area. 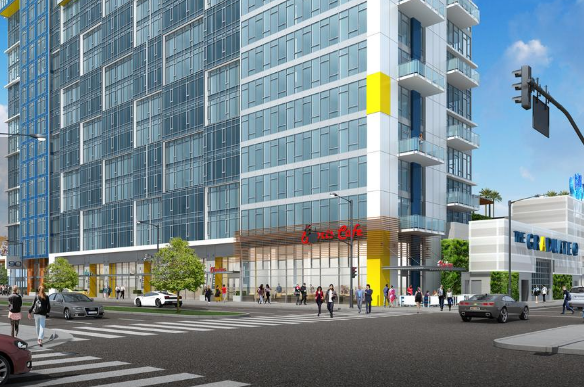 Rents will go for around $1,000/mo for a room, a bargain in Silicon Valley. While the project is targeted to SJSU students, I don't think there is anything legally preventing non-students from moving in. 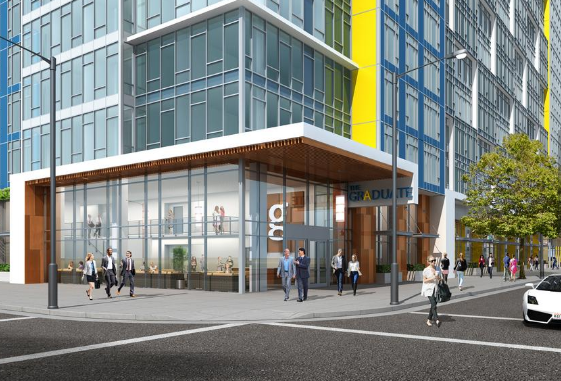 There is still no ETA on when the building could break ground--the developers are still working on design and entitlements. Anything to turn on story buildings or derelict parking lots into a more vibrant place needs not the super vague bashings anybody with no real interest in development has to offer. I've loved seeing our Downtown grow from a handful of buildings to something that reflects an actual skyline. For every dozen buildings that go up, we may only love one. The urbanism that is created however, we will be able to enjoy for the rest of our futures. With this being student housing, the developers don't NEED to invest in these extra aesthetic improvements, but they do anyway. It was a line from the movie, The Graduate. The building is called The Graduate. It's called humor. Get some. Or get Netflix.